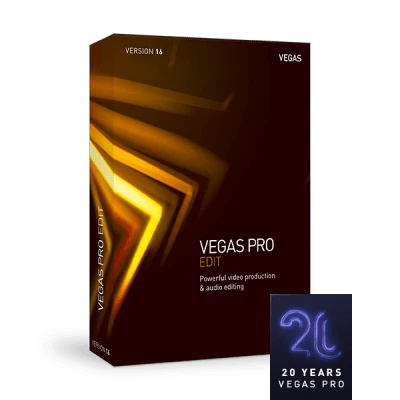 For 20 years, VEGAS Pro Edit has made professional video and audio editing easy. Now version 16 includes even more innovative and creative tools. Advanced motion tracking, world-class video stabilization, dynamic storyboarding, and more will help you unleash your creativity and deliver incredible results at maximum speed. The advanced motion tracking enables you to identify one or more objects in your video, track their position as they move through the screen, and apply special effects – such as color grading – that follow those objects. And you can easily "pin" text or video to tracked objects. The VEGAS Pro video stabilization tool has been completely redesigned with our own state-of-the-art technology. This enables you to salvage problem footage even faster and more easily than ever. Take advantage of all the modern color science of your professional cameras and monitoring gear. Deliver your projects in the HDR color space for the most stunningly life-like colors your viewers have ever seen. 02/13/2019 - "The intuitive and user-friendly interface enables efficient post-production. With its various effects, VEGAS Pro offers many possibilities to visually enhance our videos, and applying our CI through graphics can be realized without difficulty." 08/06/2018 - "VEGAS Pro 15 provides complete, modern editing tools in a lean, logical interface to help you realize your highest creativity." 08/28/2017 - "In short, if you’ve ever found yourself wondering whether or not you’re editing as efficiently as possible, VEGAS Pro 15 might be the tool you check out to confirm that suspicion." 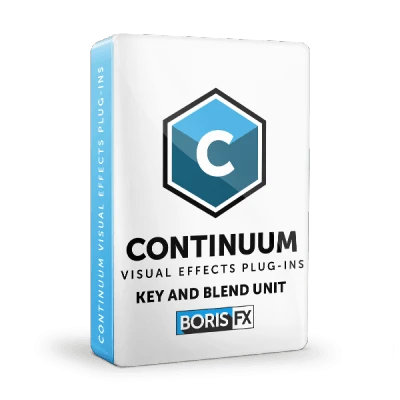 10/01/2016 - "A sophisticated editing solution used by many professional film makers and video editors."